Weddings at Trinity Lutheran Church can be as simple or as grand as you want them to be. However, we do ask that you remember to add one very important aspect to your union. The inclusion of God to bless and bind your two persons into one caring, loving family that will stand the tests of our culture. A wedding application will need to be picked up from the church office for approval. After the wedding application has been approved, the first contact should be to Trinity's Director of Wedding Ministries. She will take your tentative date, pencil it in and then consult with the Lead Pastor as to availability of that date and an officiating pastor. The Director of Wedding Ministries will assign a wedding coordinator that will help you proceed with your plans. The coordinator will call you about 6 months before the wedding to meet for the first time to discuss issues, such as how many attendants you plan to have, music, organist, etc. Also, at this time the Prepare/Enrich Inventory will be administered. 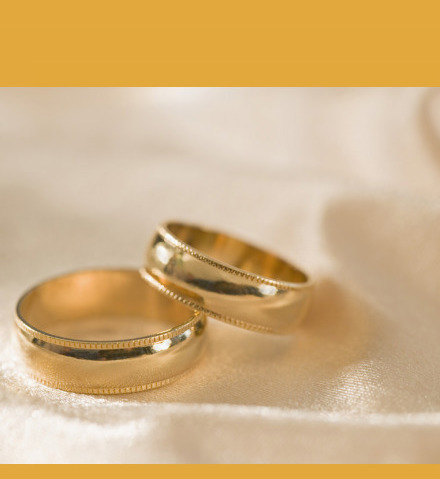 Prepare/Enrich is a tool that the pastor's of Trinity Lutheran use to help them discover a couples strengths and growth areas that are best found and discussed before the wedding. You may at this time inform the coordinator which pastor you would like to officiate your wedding. Although we try to honor these requests, pastors are scheduled for weddings by the Lead Pastor according to availability and ministry needs.